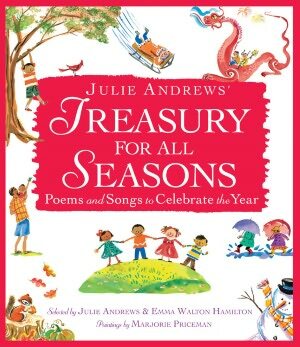 Julie Andrews’ Treasury for all Seasons – Poems and Songs to Celebrate the Year. 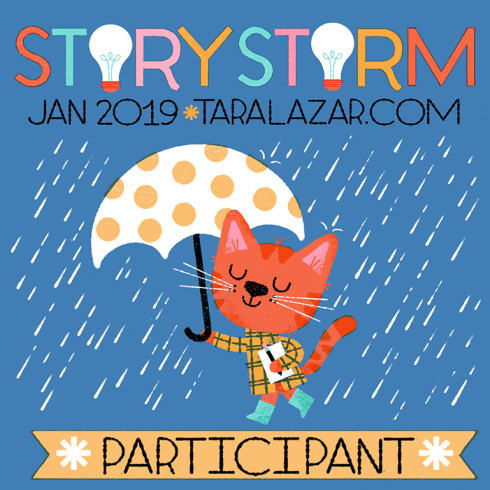 Themes: Poetic, Lyrical, Seasons, Celebrations, Giving and Receiving, Thoughts and Memories, Laughter and tears, young and old, around the world. Opening Lines: The Day is Done Come, read to me some poem, some simple and heartfelt lay. That shall soothe this restless feeling. And banish the thoughts of day. Synopsis: From the Jacket Flap…. Julie Andrews and her daughter Emma Walton Hamilton, share their most treasured holiday memories through a diverse, hand-selected array of poems and songs that celebrate each special moment of the year, brought to vibrant life with paintings by two-time Caldecott Honouree Marjorie Priceman. Featuring selections from poets and musicians including Langston Hughes, Robert Frost, Cole Porter, and kid favourites jack Prelutsky and Dr. Seuss, plus poems by the authors themselves, this collection is the perfect treasury for families to enjoy. Andrews opens each section with a personal letter to readers sharing memories of her own holiday celebrations with her children and grandchildren, offering a heartfelt glimpse into the moments she holds most dear. This keepsake collection will encourage an early love of poetry and is bound to become a classic for families to read together and revisit throughout the seasons. Why I like it: This wonderful book arrived today, on my Birthday. A gift to myself. What struck me right away were the beautiful colourful paintings within. Bright, comical, whimsical, with splashes of vibrant colour, they alone tell us a multitude of stories. From beach and sport scenes to animals, gardens and insects. From bicycles, boats, to half eaten watermelon, roller skates, and umbrellas’. A feast for the eyes of young and old. The book is cleverly set out with the months of the year grouped together in the four seasons followed by other celebrations and special occasions such as Birthdays, new babies, coming of age as well as the usual holiday celebrations. When I opened the book the pages fell open to a Valentine by Julie and a poem by Emma of her nine year old son, this was followed by a poem called “In Fancy Dress”, preparing for the Mardi Gras, by Emma’s dad, Tony Walton. Some poems are a page long and some are only five rows. All poems and lyrics within the book convey some meaning, a thought a moment in time. I loved Julie’s poem called “Flag.” Instead of saluting a flag, why not celebrate the globe, become a flag of many colours, and while honouring one small place, declare ourselves one, as a human race. Many are hilarious, joyful and playful such as a letter from Fly to Bee called “Bee, I’m expecting you!” by Emily Dickinson, or “First Day of School” by Barbara Juster Esbensen, “Half Birthday” by Amy Krouse Rosenthal, and the first lines of “Homework” by Russell Hoban are….”Homework sits on top of Sunday, squashing Sunday flat. Homework has the smell of Monday, homework’s very fat….” What about Emma’s “How Do You Get to Be Santa?” an enchanting poem spouting obvious credentials needed, not to mention being hip with the trendiest toys and no matter the weather, or if you have a cold, you would still be expected to work on Christmas Eve, oh, and don’t expect to be paid by the hour. Beautiful lyrics such as “Irish Eyes are Smiling” to “Mama, A Rainbow”, this book is indeed a treasure for the whole family. There are even poems about Grandparents and even one about how to get through a Memorial service, yes there is something for everyone. Opportunities for celebration abound throughout our lives, and the miracle is that poets use the power of words to touch the very core of our being and make us weep or laugh in recognition. Resources/Findings: There is so much in this beautiful book. I know it’s bigger than the usual picture book, but the lessons, and what we could pass on to our young readers is insurmountable. A great classroom read aloud, to promote discussion and activities for seasons. This book could be used as an accompaniment in dealing with situations as they present themselves both at home and at school. A great read aloud round a roaring fire, or snuggled up in bed, or with a grandparent. Here’s a great poem from the book that could inspire discussion or colourful pictures by the kids of what they did for Mothers day…..
We cooked Mom scrambled eggs (and dropped some on the floor). We made her buttered toast (and smeared the kitchen door). We cooked flipped a dozen pancakes (now two are on the ceiling). We sliced up a banana (I think we lost the peeling). ……. Get the picture… I’ll leave you to imagine the rest. (During my manuscript critique it was suggested I read up on some poems to get an idea of rythem and what makes them work.) This book is a wonderful lesson of poems and lyrics that literally sing off the page. I couldn’t have wished for a more lovely birthday gift, I will certainly treasure. 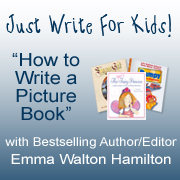 For more books with resources please visit the lovely author Susanna Leonard Hill’s blog and find the tab for Perfect Picture Books. 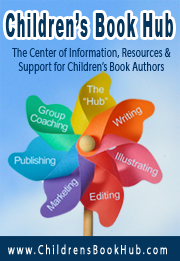 Her blog is full of resources links and activities associated with the books reviewed by many authors. 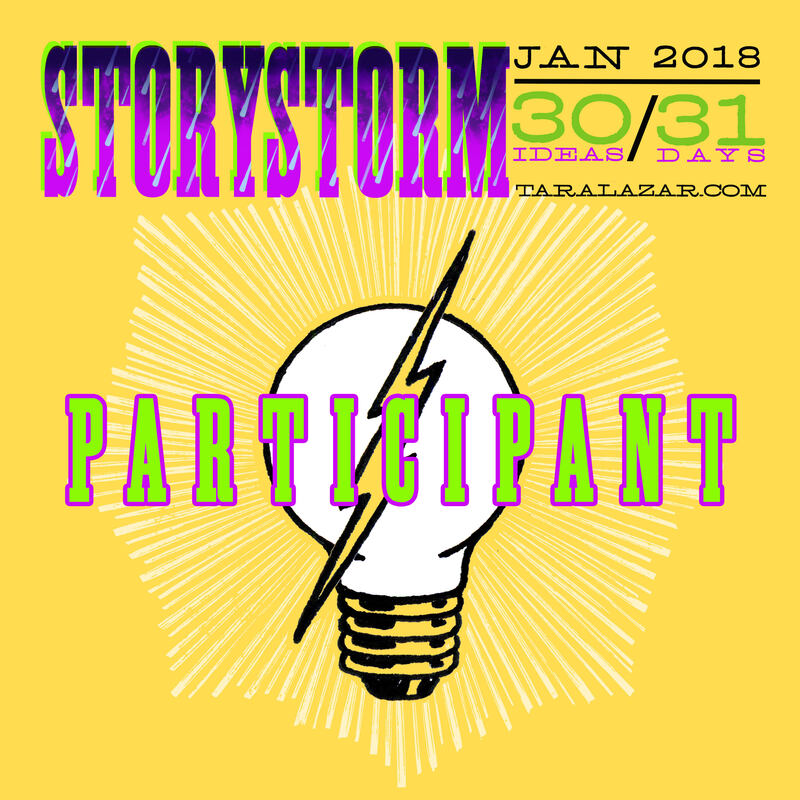 This entry was posted in Children's literature, Picture book, Picture Book Review, Reading Aloud and tagged Emma Walton Hamilton, Picture book, Poetry. Bookmark the permalink. 20 Responses to Perfect Book for a Birthday! Happy Birthday! What a lovely gift to give yourself and share with all of your readers too! Thankyou Cathy. Yes it is beautiful. I have had my nose in it every chance I get. I am ordering a couple more for Christmas gifts as well. Happy Birthday, Diane! What a lovely gift to give yourself. My copy arrived today in the mail — mine is a Christmas present for my granddaughter. You wrote a perfect review for a beautiful book of poetry. Just glanced through it and was delighted with the selections and the very colorful and bold illustrations. After reading your review, I’ll look forward to spending more time with the book. Excellent review ! Thankyou very much Pat for your lovely comment. I to am ordering a couple more for Christmas gifts. Glad you like the review. LOl… thankyou so much Darlene! It was a lovely day and made even more so when I saw this book arrive on my desk at work. Happy Birthday! What a lovely treat, that sounds like the kind of magical book nice to open on Christmas morning too. Hope you’ve had a lovely birthday, Diane. Happy Birthday, Diane! 🙂 And this book sounds delightful – what a treasure 🙂 Thanks so much for sharing it. We don’t have tons of poetry on the list, certainly not collections like this, so I’m thrilled to be adding it. Thankyou Susanna. It is a beautiful book. I’m so glad it will be added to your collection. What a lovely review you wrote. I can’t wait to buy this as soon as I am settled somewhere. The first anthology I have reread and reread and I am sure it will be the same with this! Thankyou so much Joanna. Knowing how you are a lover of poetry, you will really enjoy this. Thankyou Catherine, yes I certainly would be a great book to open on Christmas morning. Glad you liked it. I did have a lovely Birthday and looking forward to a family dinner out tonight. What a treasury…and a treasure…to have insight into Julie’s and Emma’s lives. Thanks for sharing it, Diane, and hope you had a very special Birthday! Thankyou Jarm, glad you loved this post. Yes I am about to leave soon for a family dinner, thankyou for your kind wishes. Happy birthday, Diane! I love treasuries like this. We have quite a few of them. I always get myself a little writing gift on my birthday, too. It’s nice to do something, even if it is really small, to further your craft. Thankyou Carrie! I am building a collection myself. I opened up another gift from my hubby and it was “The Hutchinson Treasury of Children’s Literature.” Amazing! So I will be doing lots of reading and learning…lol. Oh my Diane…a most Happy Birthday to you! Thankyou for your kind words. Yes it is a very unique book. Gorgeous poems and lyrics and illustrations. I am very lucky! What a great birthday present, Diane! Looks like a lovely book. Thanks for sharing your thoughts! Your very welcome Tina! Thanks for dropping in.